If you're wondering how to build a gingerbread house this Christmas, Christina Banner is here to help. 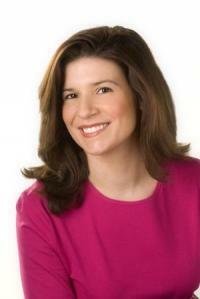 She's been making gingerbread houses competitively since 1999, and won the Food Network's Gingerbread Challenge in 2005. She is also the author of How to Build a Gingerbread House, a comprehensive guidebook to making gingerbread houses for Christmas and throughout the year. Gingerbread houses are a German Christmas tradition, popularized by the Hansel and Gretel fairy tale depicting the adventures of two children who come across a gingerbread house in the woods. Many people - especially those who don't bake on a regular basis - are intimidated by the idea of making their own gingerbread house, however. To help, How to Build a Gingerbread House offers easy recipes for gingerbread and Royal Icing, as well as gingerbread house patterns and decorating ideas. If you're worried about the cost of making a gingerbread house, keep in mind that Banner's suggestions incorporate everyday kitchen equipment and many of the decorative items you probably already have in your pantry. The photos and detailed descriptions in How to Make a Gingerbread House are sure to prove a valuable resource for novice gingerbread bakers. The book also does an excellent job of pointing out how to avoid common gingerbread house mistakes, such as cracked dough, warped gingerbread walls, or dark spots caused by hardened brown sugar. It's doubtful your first gingerbread house will turn out looking quite as nice as the projects featured, but the book does a wonderful job of giving you the confidence needed to practice your skills. And, since practice makes perfect, you can try replicating some of Christina's creative gingerbread houses to decorate your home throughout the year. There's a gingerbread sandcastle, a spooky spider shack, and an Easter Bunny house that are sure to put a smile on your face. If you master these projects, you'll be a pro by the time next Christmas rolls around! LTK: How did you first become interested in making gingerbread houses? 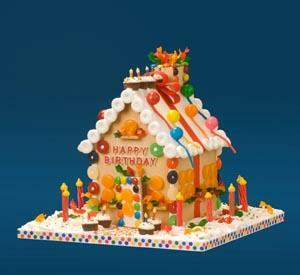 CB: I began making gingerbread houses when I was six or seven years old, with my mother. I can remember standing on a kitchen chair next to my mom as we decorated our house. As I got older, I continued making them for fun. I even found an old notebook from a high school math class, in which I had sketched a gingerbread house design right alongside my math homework! After I got married, I began entering the National Gingerbread House competition, and in 2004 I was the Grand Prize Winner with my "Christmas Around the World" house. The following year I won Food Network's Gingerbread Challenge. LTK: How do you get your ideas for decorating? CB: I like to look at everyday foods and candies and think of what they can be used for on a gingerbread house. I'll look at the shape of a particular chocolate bar and think "If I turn this upside-down, it would be a great window box." When I need to come up with design ideas to match a theme, I will think about the theme for a few days and jot down ideas as they come to me. Then, I will review the ideas and go from there. I always try to write down an idea as soon as I think of it. Before I know it, I have a good list to work from. LTK: Since gingerbread houses are traditionally associated with Christmas, what inspired you to write a book about making gingerbread houses for all holidays? CB: I think that gingerbread houses make a wonderfully unique decoration for any holiday! The St. Patrick's Day House, for example, is a fun and easy gingerbread house project for an unexpected and often less hectic holiday. It includes tiny pots of gold and little icing shamrocks scattered over a green coconut lawn. I wanted the book to be practical, so readers didn't feel they would only use it once a year. And, there is so much inspiration surrounding all of the holidays! It was fun to design the Easter Bunny's house, with his little carrot garden in the yard and Easter basket shaped windows. LTK: In your opinion, what is the most common mistake people make when trying to build a gingerbread house? CB: One mistake people make is to not pay enough attention to the pattern. You will need a pattern copied on heavy paper or poster board that you will use to cut out the dough into wall and roof pieces. I always recommend cutting out your paper pattern, and then putting the paper pieces together with tape. If your pattern will not work, then the baked pieces of gingerbread will not fit together either. It is much easier to fix a paper pattern, then to try to fix hard baked gingerbread walls. LTK: What supplies do you recommend for building a gingerbread house with a child? Are certain candies easier to work with as decorations? CB: When building a gingerbread house with a child, make sure that your house is assembled and the icing is thoroughly dry. If you let the house dry overnight, it will be very sturdy and will be able to withstand lots of candy and icing piled up on it! Colorful cereals are a great item for children to decorate with. Butterscotch candies placed close together make cute windows, as do square pretzels. Remember to allow your children to use their imagination! I am always amazed at the creative ideas that children have when they decorate their houses. LTK: Once it is decorated, how long does a gingerbread house last? Do you have any tips for making sure your work can be enjoyed as long as possible? CB: A well-built gingerbread house, made with a sturdy dough recipe and Royal Icing, can last three to four weeks or longer. If the weather is cool and dry, it will last longer. Humidity can cause a roof to sag, and can also cause hard candies to melt. Keep your house uncovered and in a place where people can easily see it and enjoy it. I have always felt that part of the fun of making a gingerbread house is knowing that it is temporary. Enjoy it for as long as you can, then start planning your next one! Order How to Build a Gingerbread House from Amazon.com. 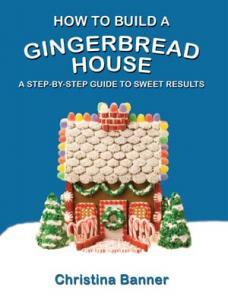 Visit GingerbreadBuilding.com for tips from Christina, as well as a sample recipe from her book. ~A review copy of How to Build a Gingerbread House was provided by the publisher for this article.